New module for the Joshuabus . 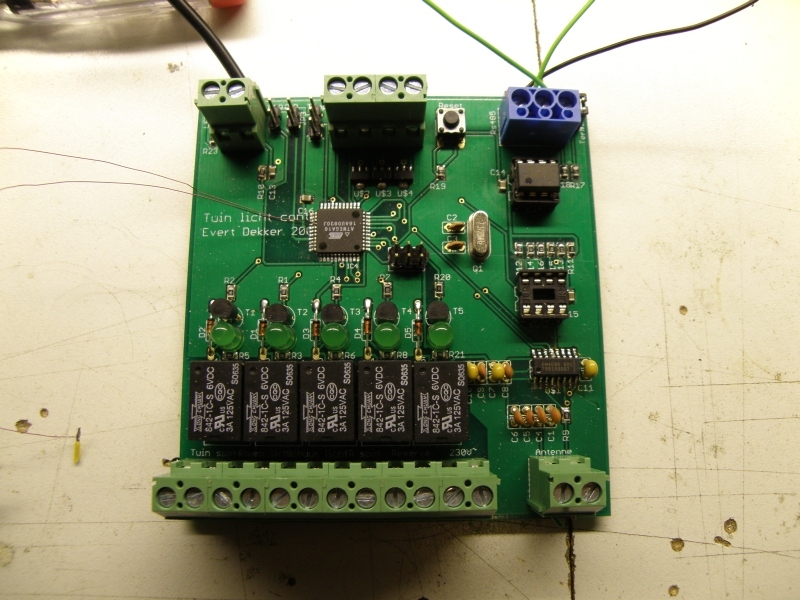 This module will come in the barn and switches the lights and infrared spot in the garden. 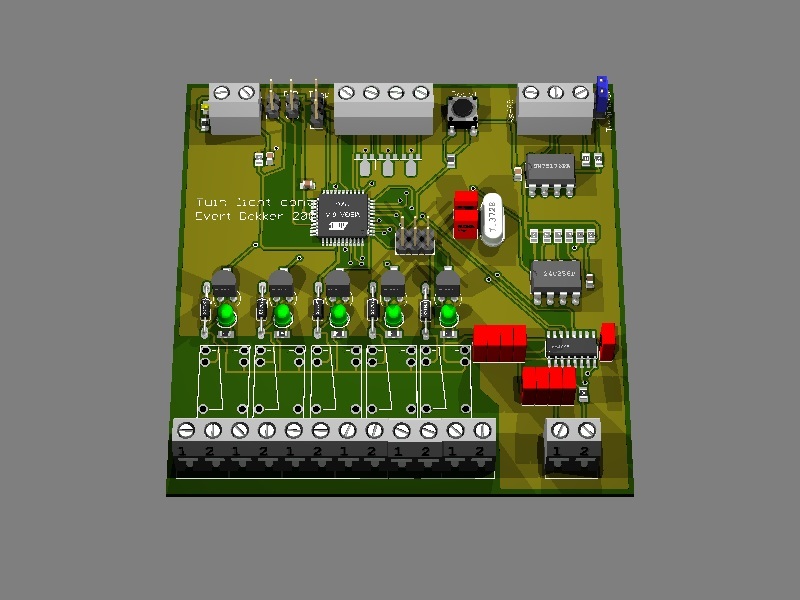 Also there are connections for light sensor, temperature sensor and pir (passive infrared). An RGB dimmer is also present for some glasfiber illumination of the tree in my garden. Pictures later…. 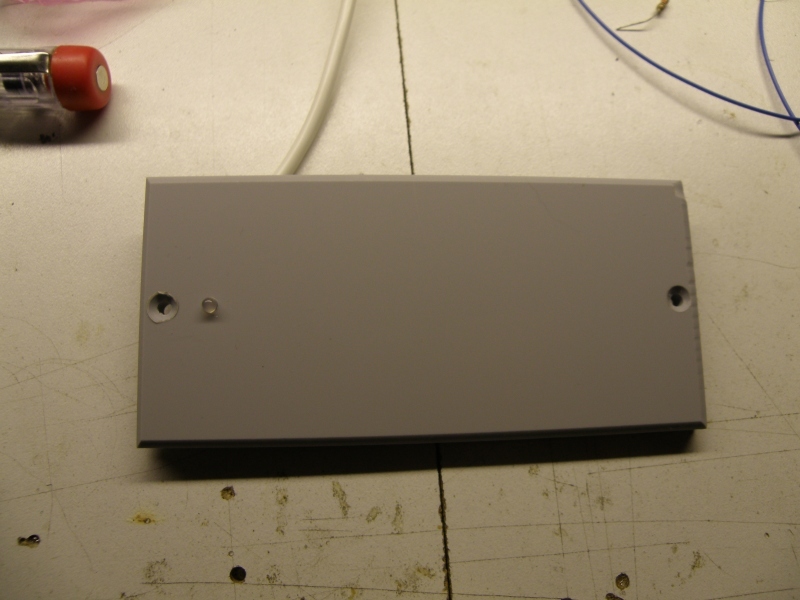 And finally we have a RFID reader for identification based on the EM4095. With this we can switch on the lights in the garden and the house when i’m arriving at the garden gate. 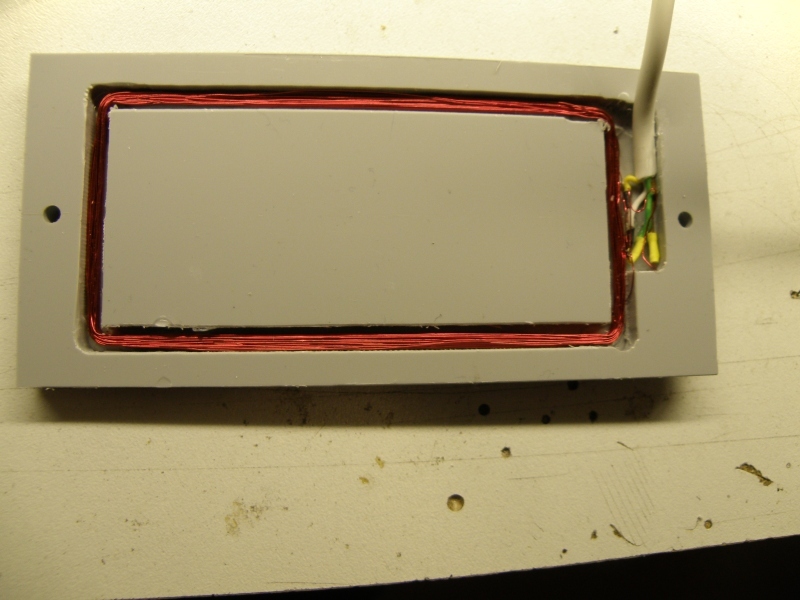 Made my own rfid antenna. Did the milling at my work, first time ever i used the hand controlled milling machine.Antenna coil at the backsite is now covered with hars to prevent water entering. On the front is a red/green led to show the permission of the rfid tag. 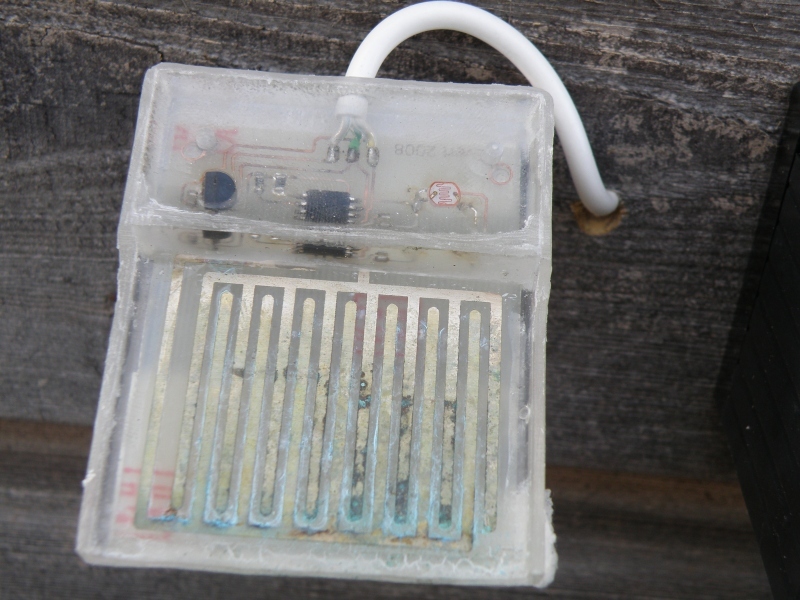 For detecting rain, light and temperature there’s the sensor module. It will communicate trough Dallas 1wire with the controller. The rain sensor will be used to close the windows if it start raining, and it’s raining a lot here in Holland. This is the first version of the sensor, as you can see it’s already oxidized by electrolyze. In the new version the rain sensor will work with ac to prevent electrolyze. Light sensor will be used for various things like the garden light etc. 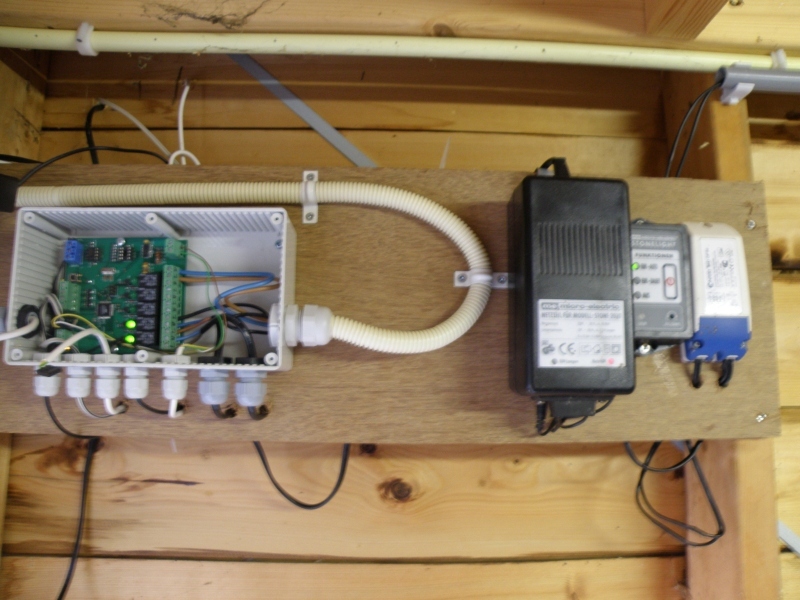 Finally the controller is mounted in the barn, due the long cold winter it’s was not possible to work there.